There's nothing complicated about this one. The Kickbike was designed in Finland where kicksledding is a popular activity. 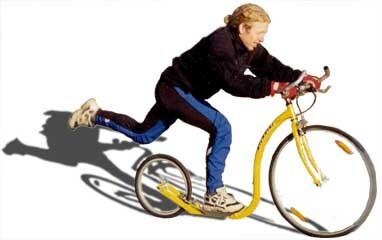 Riding a Kickbike is exhilarating and a great workout.